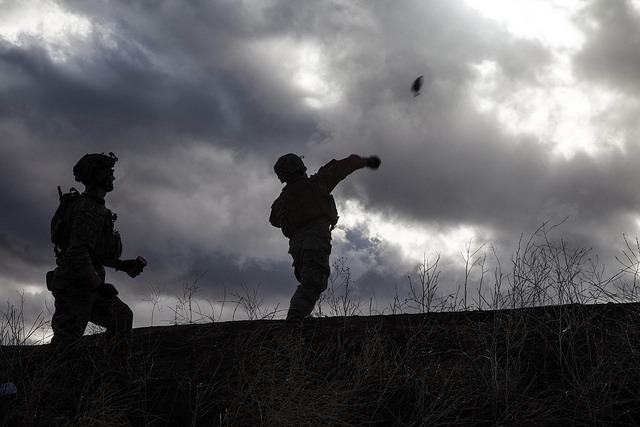 Image courtesy of Flikr user US Army. Note: Departing for Gettysburg Historical Staff Ride, so this is coming a day early. No West Point cadet will attend academic classes today due to the Simon Center for the Professional Military Ethic’s “Mission Command Conference.” “Mission command” is a fairly massive initiative in the Army, defined as “the exercise of authority and direction by the commander using mission orders to enable disciplined initiative within the commander’s intent to empower agile and adaptive leaders in the conduct of unified land operations.” In short, this is how the Army educates and inspires junior officers to take the initiative when on mission (avoiding constant need for supervision and guidance). This is both useful and critical on today’s battlefield. Yet mission command is inherently constrained by the word, “mission.” The US Army doesn’t fight missions, it fights wars. Missions are designed to support war efforts, therefore, thinking about how one’s mission fits into the war’s context is not just helpful, but necessary. War is about much more than the tactical fight. Somewhere in pre-commissioning education, West Point (and other commissioning sources) must teach something broader that underpins mission command. I would suggest “strategic understanding,” which I’ve defined as awareness, comprehension, and ability to communicate broad purpose for the use of force and the relationship between tactical action and national policy. This would enable an all-important sense of context in the cauldron of confusion that is modern warfare; it would also support mission command. When I tell people that we don’t require this basic strategic understanding from any of our West Point graduates (or anywhere else in pre-commissioning education) – they’re usually very surprised. In my experience, most of the American public just assumes that those in uniform, particularly officers, all know and understand “strategy.” We don’t. Here’s how you can tell – if you teach in an ROTC detachment, or at West Point, try this out on your cadets. Give them a standard notecard and a couple of minutes. Tell them to describe “tactics” on one side, and “strategy” on the other side. A colleague of mine (Major Jon Fursman) has said he’s done this exercise for some time now and averages about 15% of his cadets getting reasonably close to accurately describing both (scary thought: how would Majors do?). It goes without saying, but this should be baseline knowledge in the Profession of Arms. Maybe instead of a full day of conference activities, West Point ought to invest in some notecards. But isn’t Mission Command exactly about the tactical fight? Isn’t the point of Mission Command to entrust the tactical (and operational) leader with the least amount of direction in order for him or her to utilize their own judgment, training, initiative, etc to accomplish any given mission? It would seem to me that Mission Command is the means by which tactical goals are achieved, not strategic goals. Please, anyone, correct me if I am wrong here. If I am not, then it seems that this is the perfect conference for cadets. Even though we want to imbue them with a bit of strategic thought, the fact of the matter is that they will be tactical leaders for a very long.